9375 9th St Rancho Cucamonga, CA - 91730. Amazing flavor profile and really smooth throat hit make iQUIT different than other ordinary e-liquids with high nicotine. iQUIT provides higher nicotine level and with that, it brings low output systems to life. This significant difference happens with nicotine salts. Due to an ability to quickly absorb into the bloodstream, 'Nic Salts' provides an absolute feel of traditional cigarettes. 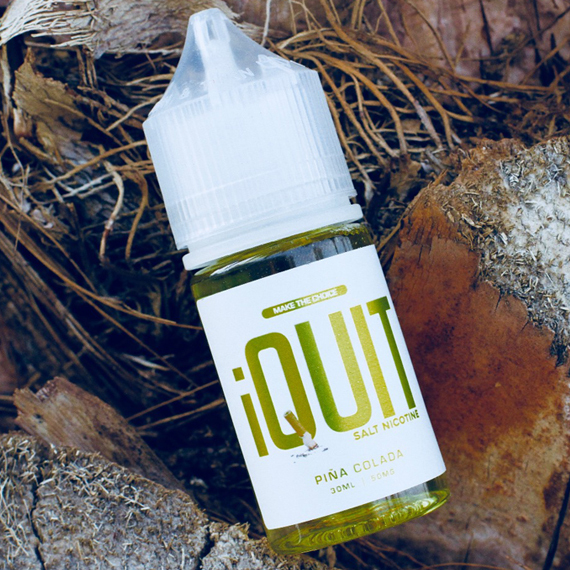 iQUIT comes in various mouth-watering flavors and strength of 50mg. Mango Guava - It is a mouth-watering flavor profile with a perfect blend of two juicy fruit flavors. An amazing sweetness of mango and luscious guava makes this juice just perfect to vape. Blue Raspberry - It is crafted amazingly from superior quality of raspberry extract which makes this juice delicious. This tastes just like blue raspberries with a flavored twist. More you vape this juice, more you will love for sure.